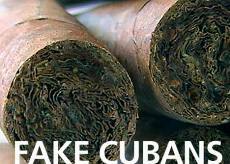 Since they are illegal, reliable estimates demonstrate about 90 percent of Cuban cigars found in the United States are counterfeit. But the problem of fake Cuban cigars also extends to countries without embargos on products manufactured under the communist regime. The latest mass seizure of Cuban counterfeits occurred in Paris, where customs agents seized over 35,000 fake Cubans valued at approximately $464,000. The shipment originated in Panama and was due for Hong Kong. A Custom Service statement said the counterfeits were “difficult to detect” and were included with many authentic items. For more on detecting counterfeit cigars, read our guide to spotting fake Cubans. Reports of counterfeit Cuban cigars are not new, but according to the Customs Service, the Paris seizure is part of a new trend in France. StogieGuys.com speculates, however, that it is more likely that the smuggling of counterfeits is not a new phenomenon in France, but rather that officials have only just become aware of the problem. Since May 2006, French customs agents have intercepted four shipments of fake Cubans in France. Prior to May 2, no counterfeit cigars had ever been seized in the country. I think we should lift our embargo on Cuba and instead place one on France. Google Search: "french military victories"